These quick and easy to make, decadent cinnamon pecan crunch bars are actually more like candies. 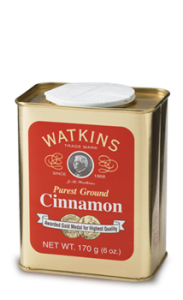 They make a nice addition to your holiday baking and, or great gifts! Warning these are addictive so you may need to hide them! Arrange graham crackers in a single layer with sides touching in the bottom of a greased 15 x 10″ jelly roll pan. Sprinkle pecans evenly over crackers. Combine butter, brown sugar and cinnamon in a small heavy saucepan. Cook over medium heat, stirring constantly, until sugar dissolves and mixture begins to boil. Continue to boil syrup for 3 minutes longer without stirring, pour over crackers. Bake at 400 degrees F for 8 to 10 minutes or until bubbly and just slightly darker around the edges. Cool completely in pan; break into pieces or remove from pan and cut into bars. Store in an airtight container. Hidden in a safe place, if you plan to serve them for a certain special occasion! Makes about 1 1/2 pounds of candy. Arrange graham crackers in a single layer with sides touching in the bottom of a greased 15 x 10" jelly roll pan. Sprinkle pecans evenly over crackers. Combine butter, brown sugar and cinnamon in a small heavy saucepan. Cook over medium heat, stirring constantly, until sugar dissolves and mixture begins to boil. Continue to boil syrup for 3 minutes longer without stirring, pour over crackers. Bake at 400 degrees F for 8 to 10 minutes or until bubbly and just slightly darker around the edges. Cool completely in pan; break into pieces or remove from pan and cut into bars.